in South Somerset with a professional, high quality, reliable and friendly service by uniformed British Gas trained Gas Safe registered engineers, and City & Guilds qualified plumbers in liveried vehicles. Serving the Yeovil, Chard, Crewkerne, Ilminster, Martock and Somerton area we pride ourselves on the quality of our workmanship, together with attention to detail and a firm commitment to energy efficient products. In the last few years, our business has grown rapidly, with the majority of our work as a result of customer recommendation. 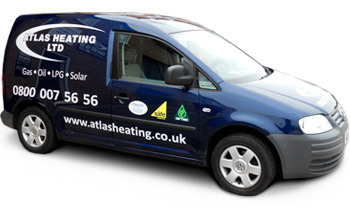 Installation of domestic and commercial gas, oil and LPG boilers and central heating systems. Energy efficient upgrades to existing central heating systems to full Part L Building Regulation Certification. Installation and maintenance of solar water heating systems. Maintenance of all domestic and commercial gas, oil and LPG appliances. Installation of bathroom suites and all general plumbing. We are pleased to be appointed Worcester Bosch Acreddited Installers, the leading brand of quality condensing boilers in the UK. As a result of this our engineers receive the latest factory training from Worcester Bosch and we can offer our customers exclusive free 5 year extended warranties on all boiler installations. For further information, or to arrange a free, no obligation, fixed price quotation, please contact us .